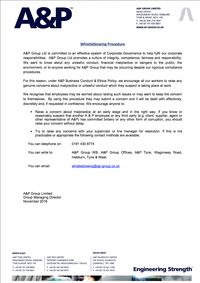 A&P takes the well being and welfare of it's staff extremely seriously. 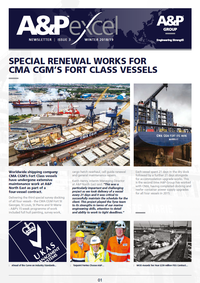 We deploy a range of policies to protect our employees, our customers and our sub-contractors. 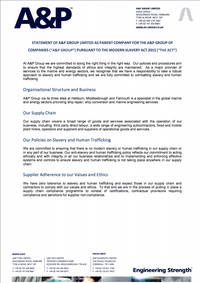 This section of our website provides information on these policies. 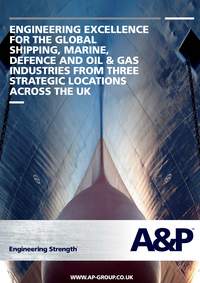 A&P’s number one priority is to safeguard the safety and wellbeing of its staff, customers and sub-contractors. 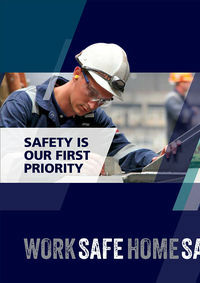 The A&P Work Safe, Home Safe (WSHS) initiative defines the core values which form the basis of the safety culture at A&P. 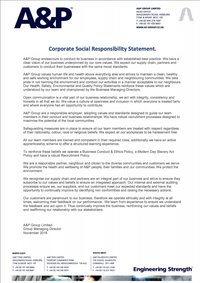 In addition to protecting the health and safety of its employees, customers and suppliers, A&P is also committed to creating an inclusive working environment in which the rights and dignity of all persons are respected. 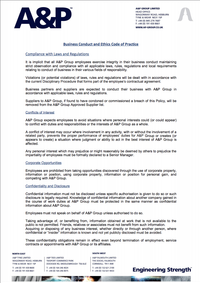 The A&P Code of Conduct is a set of guidelines which help to equip A&P personnel with the guidance and support to help each employee carry out their work the right way.